1. 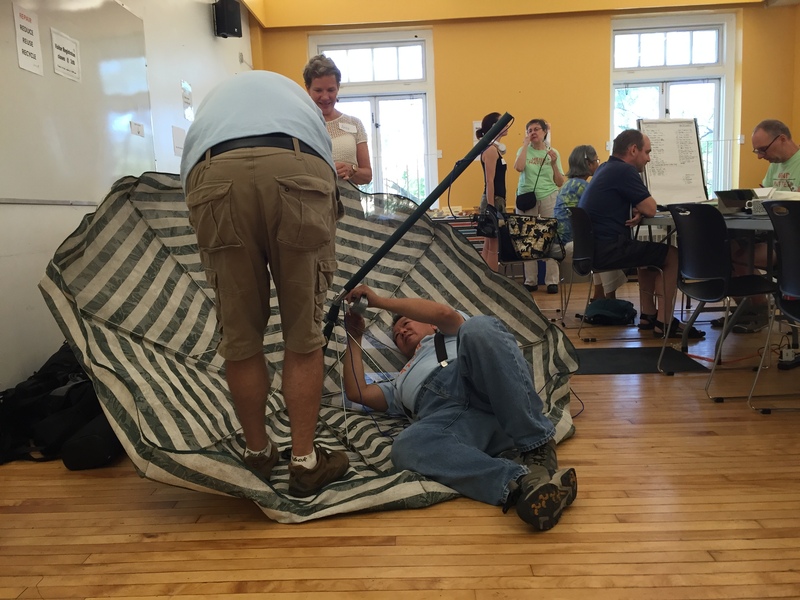 Why did Repair Café Toronto begin its journey at Skills for Change? Skills for Change is a non-profit organization seeking to strengthen its local partnerships as a way to help its clients connect to the Toronto community. The Repair Café organizes neighbourhood gatherings that provide opportunities which support this objective. 2. Is the Repair Café taking business away from repair professionals? The answer is quite the opposite. 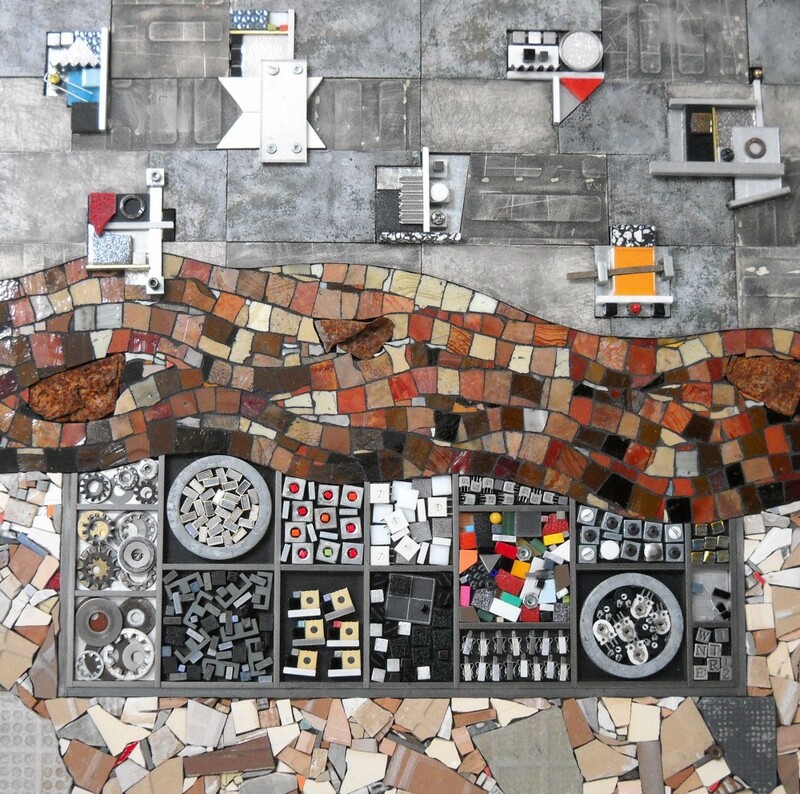 The Repair Café aims to build a culture where repairing rather than throwing out is the norm. We demonstrate to people the possibility of getting things fixed. At the Repair Café, we advise people who need further help with their broken items to access the services of local professionals who are still in the business of repair. Visitors to the Repair Café are people who are not normally customers of repair specialists as they find the expense prohibitive. In addition, many repair professionals want to provide a service to their community and the Repair Café is an enjoyable way for us to get to know one another. 3. How do I show my support to the Repair Café? 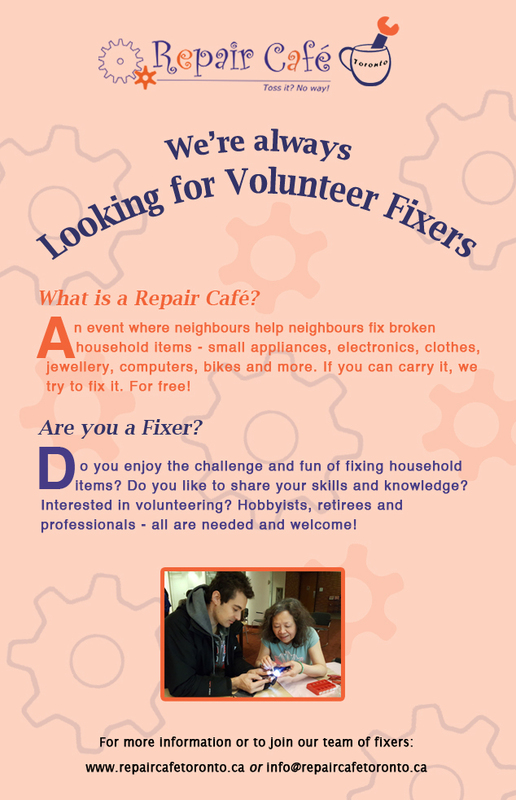 A voluntary cash donation at the Repair Café is greatly appreciated. We also welcome volunteers of all kinds to participate. If you are an organization, you can support us by making cash or in-kind donations. To inquire further, contact us at info@repaircafetoronto.ca. 4. Where can I get some repair tools at minimal cost? You can join Toronto Tool Library! Annual memberships are as low as $50. 5. How do I contact you? If you have questions or suggestions, you can reach us by email info@repaircafetoronto.ca or drop us a message in the Contact section.